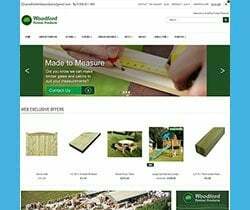 A straight forward simple WordPress website migrated from a less advanced platform, optimised for the clients products offering. evince are specialists in delivering high quality and highly search engine optimised websites. For more examples of websites like this see the evince web design & web development portfolio or contact us for more information via the contact form or call +44 (0) 1483 361 151.